Got a heads up from IMP Awards. Brand new posters from the Zack Snyder animated film Legends of the Guardians: The Owls of Ga' Hoole to be released on cinemas later this year have been released online. Enjoy all 8 character posters featuring all the main cast. 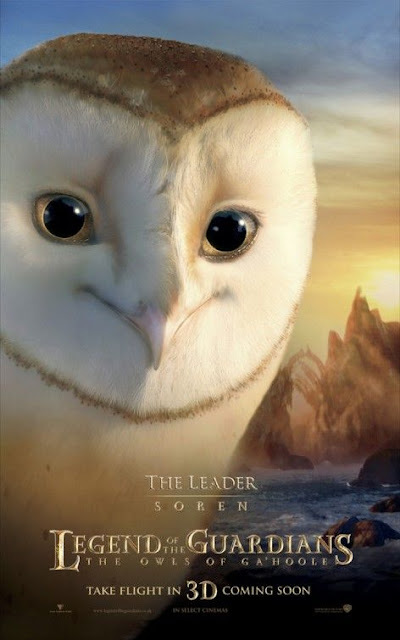 Soren (voice of Jim Sturgess) -- A young male Barn Owl enthralled by his father’s epic stories of the Guardians of Ga’ Hoole, a mythic band of winged warriors who had fought a great battle to save all of owlkind from the evil Pure Ones. Soren was snatched by patrols from St. Aegolius Academy for Orphaned Owls. Metalbeak (voice of Sam Neill) – A mysterious male Barn Owl. Gylfie (voice of Emily Barclay) – A female Elf Owl, who is Soren’s best friend. She was snatched by patrols from St. Aggie’s after trying to fly before her wings had completely fledged. 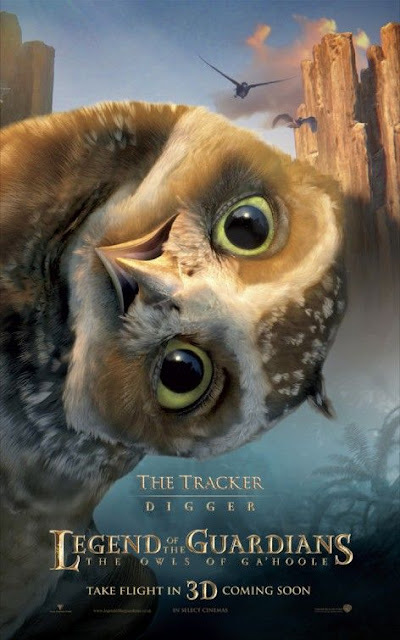 Digger (voice of David Wenham) – A very smart tracking Burrowing Owl. He was separated from his parents when owls from St. Aggie’s attacked his family. 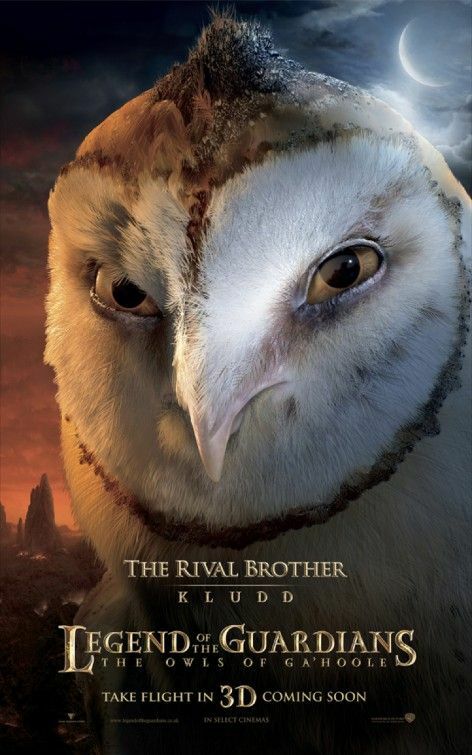 Kludd (voice of Ryan Kwanten) – A male Barn Owl, older, evil brother of Soren. 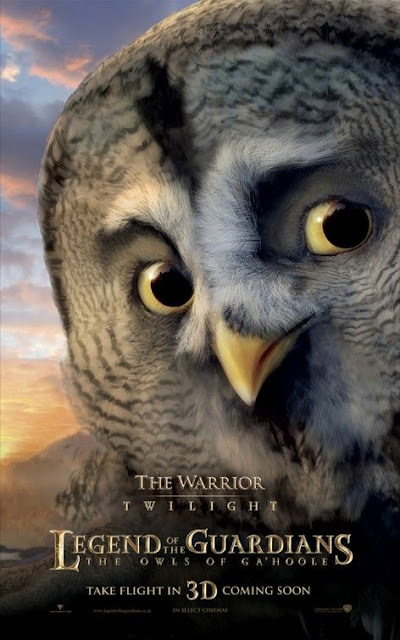 Twilight (voice of Jay Laga’aia) – A male Great Grey Owl who claims that he taught himself everything about surviving (at the orphan school of tough learning),and was abandoned within hours of hatching. Eglantine (voice of Emilie de Ravin) – A female Barn Owl, Soren’s beloved younger sister. 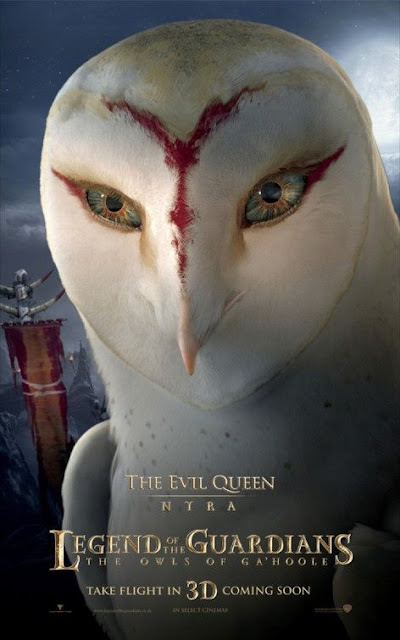 Nyra (voice of Helen Mirren) – An enigmatic female Barn Owl. 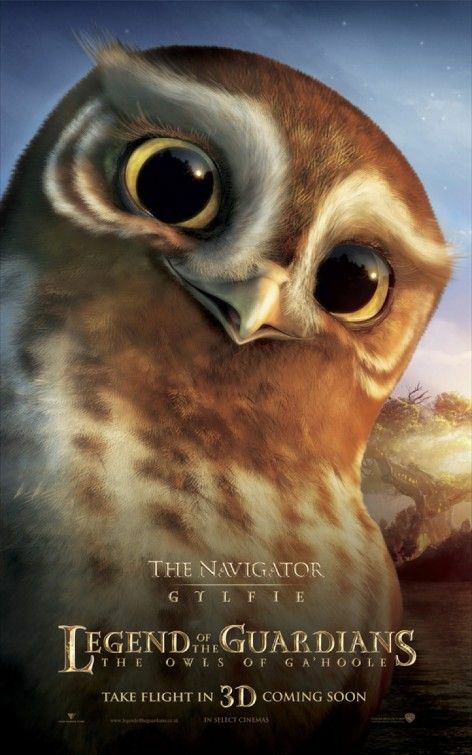 I want to commend the designers because despite the limited material of using owls as reference, they still manage to create different characters that reflects their personality. And some of them are incredibly cute, cute enough wanting me to bring them home as a pet. 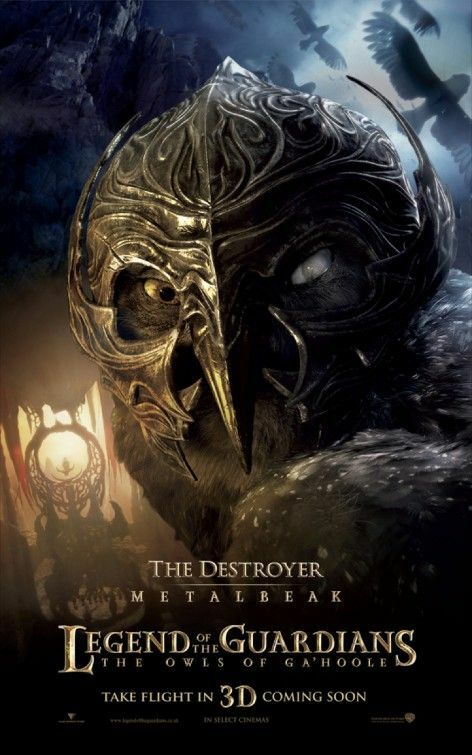 I will definitely see this movie when it comes out. Can't wait. 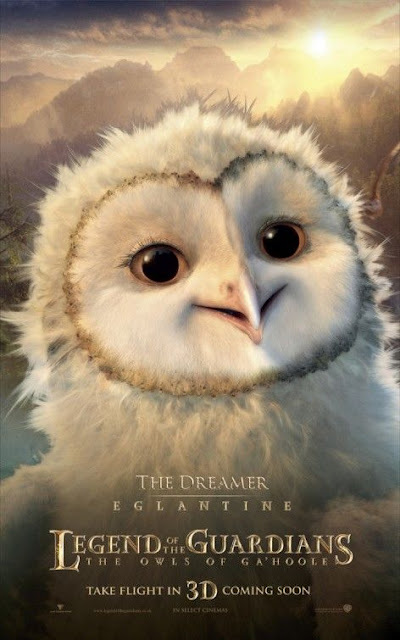 Opening soon across the Philippines, Legend of the Guardians: The Owls of Ga’Hoole will be presented in 3D and distributed by Warner Bros. Pictures, a Warner Bros. Entertainment Company.